During homemade baby food week, I decided to ask two people to help me out a bit. The first being Brittany. 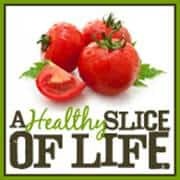 Brittany writes the blog A Healthy Slice of Life and I’ve been following her journey with Baby Led Weaning ever since she introduced solids to her adorable daughter Hailey. She immediately came to mind when thinking about this series and this topic. So I’ll hand the microphone keyboard over to Brittany and let her tell you all about Baby Led Weaning! 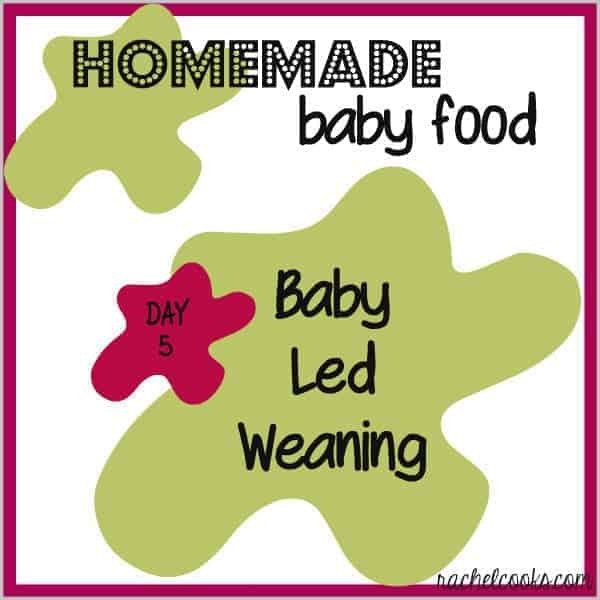 I was so honored when Rachel reached out to me to ask me to post about my experience with baby led weaning. I used this method of transitioning my daughter, Hailey, to solid foods and quickly became a huge fan. Though it is growing in popularity, I’ve realized the ins and outs are still relatively unknown, as evidence by the quizzical faces I get when I tell people we never gave Hailey purees. So let me take a minute to explain what it is, why I chose it and how it works. 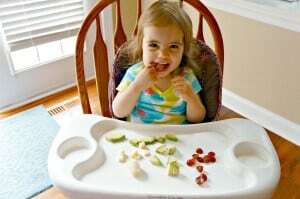 Baby Led Weaning is the idea that by 6 months old babies are developmentally capable and willing to feed themselves. You simply give babies foods that are appropriate for their age and developmental skills and let them learn to self feed. Honestly, it first sparked my interest because it sounded easy. Purees just sounded so time-consuming. I was hooked on the idea of making my own food, so the thought of steaming, pureeing, freezing, defrosting and then spoon feeding sounded like a lot of work. 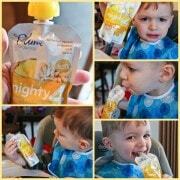 I decided to give baby led weaning a try and was adamant that if it wasn’t working, I’d quickly switch the purees. Luckily we ended up loving it and never looked back. I loved that I could plop food down in front of Hailey and work on cooking our dinner while watching her take feeding into her own hands. Another reason I chose baby led weaning was the exposure to new textures. Being that I love a lot of different kinds of foods, I wanted Hailey to be an adventurous eater as well. I felt that exposing her to a plethora of textures, as well as flavors, would better prepare her for accepting different foods down the road. So far, it seems to be working. 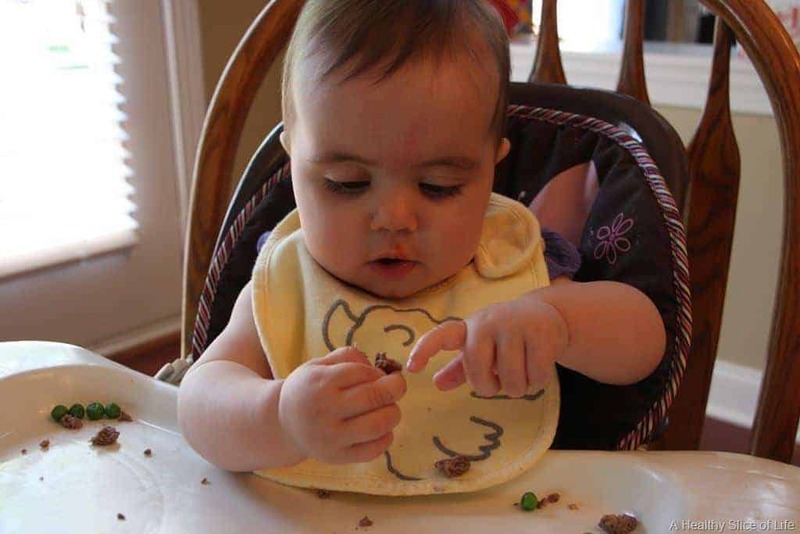 Finally, the practice of reaching and grabbing food helps babies develop fine motor skills. I credit Hailey’s early development of the pincer grip to those pesky peas she was determined to learn to pick up. 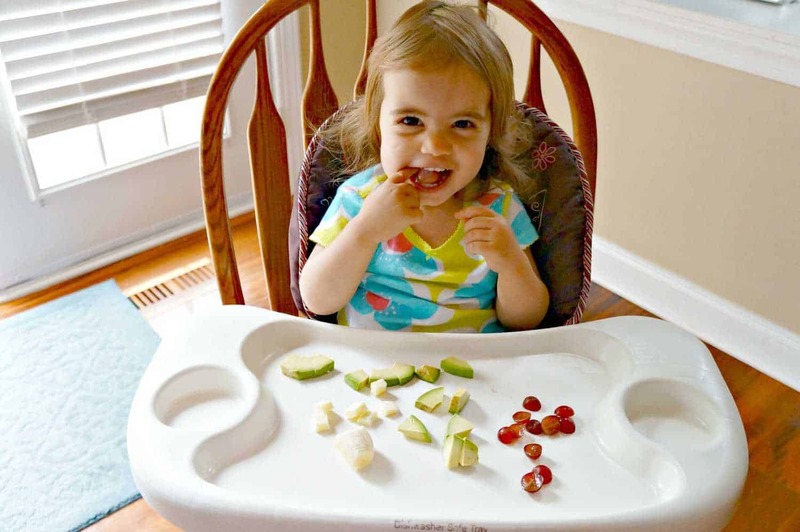 When should you start with Baby Led Weaning? Baby led weaning experts strongly suggest waiting until 6 months old. At this point most babies are able to sit up unassisted and can reach out and grab things. Science also points to six months old as an ideal time to introduce solids since it is when babies’ digestive systems are mature enough to handle food and most babies are showing interest in eating (reaching for food). Furthermore, at this age babies’ gag reflexes are positioned further up on the tongue (closer to the front of the mouth). This is nature’s safe guard against choking, since a baby will gag and spit out a food before he is able to choke on it. Once a baby demonstrates all the sign of being ready, the fun begins! What foods are appropriate for a new eater? Our favorites were baked sweet potato sticks, banana and steamed broccoli which all were easy for her to grab and maneuver to her mouth early on. 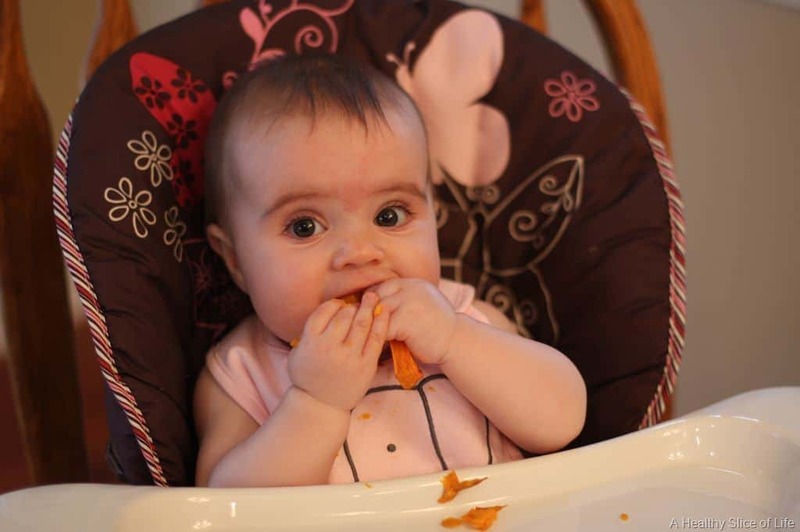 You can read more about Hailey’s first experience with solids here. From there, the sky was the limit. We moved on to steamed green beans, black beans, peas, sticks of cheddar, scrambled egg, sliced tomatoes, and on and on. To learn more about what foods I gave Hailey each month and ideas from other moms, visit Munchkin Meals, which is a monthly link up I host where moms come together to share what their kids are eating and get new ideas. As with any solid foods, you want to be with your baby whenever he is eating. Choking is a hazard that scares most people off from baby led weaning. Make sure you offer appropriate foods and your child is developmentally ready. Also, don’t forget that gagging is NOT choking. The gag reflex is further forward on the tongue as a safe guard. Hailey gagged on her first experience and quickly spit out the food. She gagged maybe once more and then she got it. No gagging scares since. Have you ever heard the phrase Food before one is just for fun? At this age breast milk or formula is still providing all the nutrients a child needs to thrive. There is no need to fret if your child is only able to manage a few bites down the hatch at a time. I wondered if Hailey was getting anything down at all, but within a week I saw the proof in her diapers (ew, sorry). YES! Oh my gosh, yes. We loved it. It was so much fun watching Hailey explore new foods. We could take her out to eat and all enjoy a meal together without one of us having to sit and spoon feed her. Instead, she had small bites of our meal. She has always eaten what we were eating, even Indian food. At 21 months old, Hailey is an incredibly adventurous eater. Perhaps we just got lucky, but I credit her early exposure to a variety of flavors and textures with broadening her horizons. I plan on following the same path with any future children. Disclaimer: Brittany and I are not a pediatricians nor a dietitians. 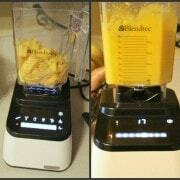 Check with your doctor before introducing solids and definitely use this only as a rough guideline. Always trust your gut and do your research. 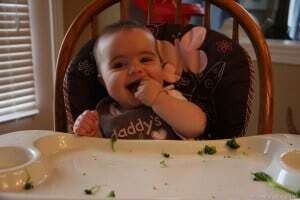 I have read a LOT about baby led weaning and I definitely think it’s an avenue I want to try with my (very) future kids! Anything that might prevent them from being picky eaters lol. We just started down the road of BLW with our daughter last week. I’m so interested in the process and there seem to be a lot of benefits to doing it this way. My 6-month-old seems to be taking to it very well and I love the laid back approach to introducing food. With my 3-year-old son I was much more anxious about the whole process because I was obsessing about how much puree he was eating and when and what to introduce next, etc. and you know what? He ended up going at his own pace anyway and it all turned out just fine. Love the hindsight you get as a second time mom! Thanks for sharing your experience with BLW! I’m always interested to read about others experiences as I don’t know anyone in real life who has actually fully done BLW. Just starting baby girl number 2 on solids and she is not a fan at all! I have done rice cereal and homemade puréed peas, green beans and squash. Finally got her to eat some squash but only if she held onto the spoon with me. I think she might like the baby led weaning and you are right, sounds like so much less work! Now to get hubby on board. BLW sounds like a good idea… I breast fed both my kids (daughter is almost 30 & son is 25 years) till about 18 months They both weaned themselves without any problems, tapering off as food was introduced and then they were more interested in sippy cups. I did give them finger type foods but back then (at least in my house) it was more of giving kid friendly foods like french toast (cut up) pasta, mac & cheese etc. My granddaughter is going to be 2 yrs old next month. My daughter breast fed almost a year but was also pumping (she went back to work at 6 weeks- didnt really have a choice, she is a doctor & was a resident) alot so she had tons frozen. She started with the baby rice cereal mixed with breast milk. She made virtually all of her own veggis & fruits, pureed at first, getting more texture as she tolerated it, but used a spoon to feed her. As she got older my daughter just gave her whatever they were eating only she mashed it up… also spoon fed. She ate anything & everything !! I was amazed one day I was feeding her & it smelled great, after tasting it I decided it WAS great. I asked my daughter & she said it was the filling of the burritos she had made the night before !! Back in “my” days I would never even think of giving mexican food to a baby… too spicy. She started grabbing the spoon before she was a year & was using a fork to spear things like fruit, veggies & french toast…. My only question or concern is allowing your kids to eat everything with their hands…. when do you introduce the idea of forks & spoons? My granddaughter was always spoon fed until she could manage it by herself and at almost 2 she does a really good job of using fork & spoon, which we strongly encouraged. I see the ease of just giving them stuff on their tray to eat with their hands but I really like the idea that she knows how to use utensils!! She will frequently want to use her hands when eating things like french toast but we tell her to use the fork Of course she can use her hands to “dip” like veggies in hummus, or french fries in ketchup). Using a fork actually serves a purpose in slowing her down because if we let her use hands she will just keep stuffing food into her mouth without chewing & swallowing then starts spitting it out…. (funny to watch her but not encouraged lol!!) so by spearing her food will slow up the pace a bit… Plus I think using fork or spoon is more polite… she has pretty good table manners & we take her to restaurants all the time. Im not a fan of seeing a 2-3 yr old poking & playing with their foods. So how does teaching them to use utensils fit in? If I remember correctly, with my daughter, we placed utensils on her tray at a pretty early age. We of course modeled use of them, and she just sorta picked it up (early compared to a lot of kids). I’m sure my boy will be different, though! :) I think it’s important to have utensils with chunky handles that are easy to use. Good luck! It sounds like such a great idea!! Im gave my daughter your blog to get some ideas & will definitely be trying (or at least I hope my daughter will) BLW with the baby due in December !!! WOW your generation is so lucky to have all these resources at their fingertips…. I almost wish I could have another baby !! well since thats not happening Im just gonna have to enjoy being a grandma!! Being a grandma is sometimes even better then actually having them yourself !!! Enjoy your babies !! We tried this for a few days because it seemed right up my alley, but my daughter choked repeatedly. It didn’t turn out to be a good fit for us. 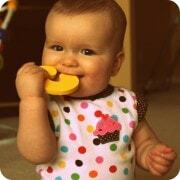 We did purees for a couple months until she was able to pick up soft little finger foods. At 2.5 years old, she is still not the best chewer sometimes, so I’m glad we opted for an alternative to BLW, though I know many people who like it.